The US Environmental Protection Agency (EPA) is about to ban science from its decision-making process. You’d be excused for thinking this seems like hyperventilating leftist nonsense. A claim that the EPA is banning science surely seems absurd. After all, how does one make judgements on the safety of chemicals without doing science? But, the EPA’s proposed “Strengthening Transparency in Regulatory Science” rule will do exactly that. The proposed changes were first floated in late April. They were immediately met with unequivocal disdain from the scientific community. A group of nearly 100 Harvard leaders and professors, including the chairs of numerous departments and the university’s president, wrote a letter wherein it was explained how the new rules would preclude even their own work from consideration in EPA decision-making. The proposed rule would—for no rational reason—prevent EPA from relying on much of the research that the signatories, their institutions, and other public health and environmental exposure researchers have conducted and continue to conduct. 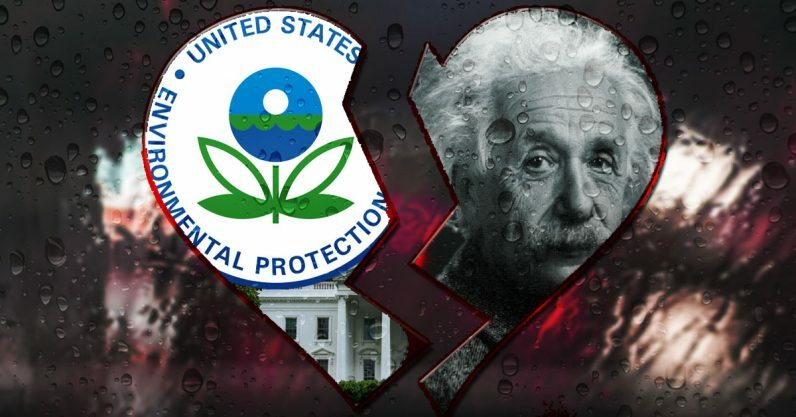 The rule will cripple EPA’s ability to implement the aforementioned Statutes and will jeopardize the health and safety of infants, children, and adults in the United States and beyond. It’s incredible that we live in a world where The New York Times is called fake news by the President of the United States – but surely that’s a mild jolt compared to the shock of learning the EPA is comfortable ignoring Harvard research. And it’s definitely not just Harvard — the EPA’s new rules would prohibit it from using most peer-reviewed scientific research. It’s like net neutrality all over again – only this time tens of thousands of chemicals that have been proven unsafe could suddenly get a green light with no peer-reviewed research to oppose their manufacture and use in public. The EPA claims it wants to hear out the scientific community and make the best possible decisions for the public. Yet, it’s painfully obvious that every shred of available evidence points to the idea that the EPA is simply conducting a wholesale ban on anything that doesn’t jive with the best interests of the corporations who’ve realized that politicians cost less than meeting the EPA’s current guidelines. Tracey Woodruff, who led the development of a chemical-evaluation process at the University of California, San Francisco, told Scientific American: “Only industry studies will survive.” Isn’t that convenient? If you’d like to do something about it, the EPA is accepting comments from the public until tomorrow. It’ll only take a minute to let the government know you believe an agency charged with regulating dangerous chemicals ought to have at least a congenial relationship with science.